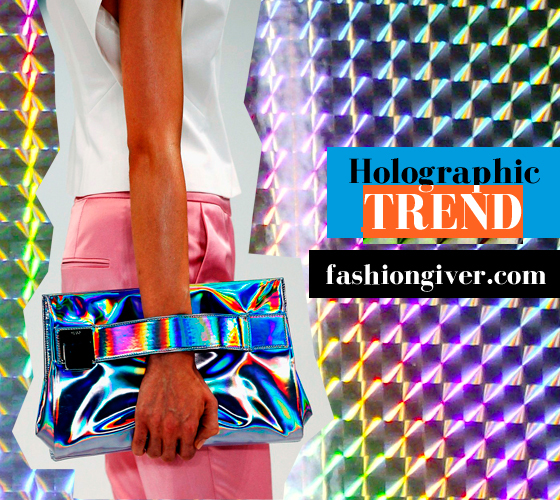 FashionGiver Blog de Moda Colombia: Trend alert: Holographic everything. 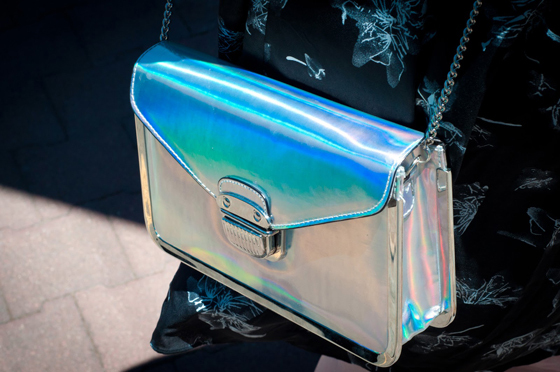 Even tho' the holographic trend it's been out there since last year in hands of Blumarine and other designers, we're see it on the streets, on the red carpets and even retail, just now. ¡And I love it! I love daring and explosive trends just like this one because it not only allows you to play dress up but enjoy a little bit of what was hot in the past. 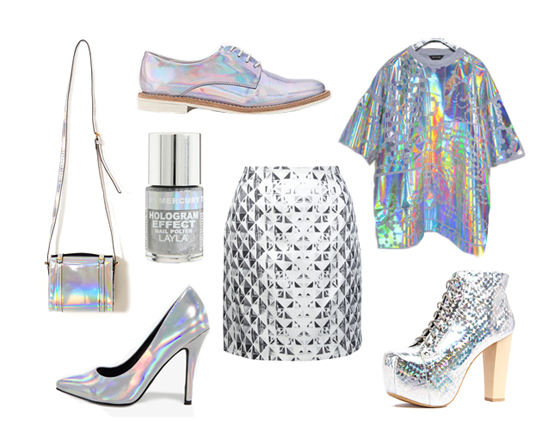 The 70's and 80's were full holographic and even tho' people could associate it with tackiness and lack of taste, it can be a fun and even stylish if you wear it the right way. 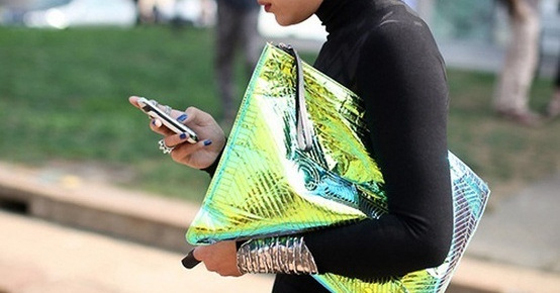 CLICK, CLICK, CLICK to keep read about this trend. 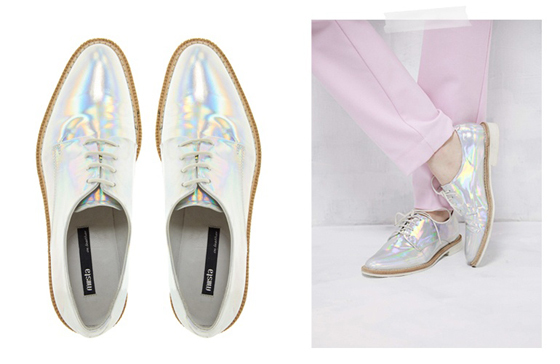 Aunque la tendencia "holograma" ha estado vigente desde el año pasado gracias a Blumarine y otros diseñadores, apenas estamos viendo esta hola tornasol en las calles, en las alfombras rojas e incluso en almacenes de grandes superficies. Me fascinan este tipo de tendencias explosivas que te permiten jugar al vestirte pero también disfrutar lo que era tendencia en el pasado. Los 70's y los 80's tuvieron una cuota importante en la aclamación de este movimiento fashion, y aunque actualmente la gente la puede asociarla con falta de gusto, el tornasol que puede ser divertido y estilizado si se lleva de la manera correcta. CLICK, CLICK, CLICK para seguir leyendo. The options to wear this trend are infinite, and they can work for both men and women. I only suggest to wear this trend in accesories or only one clothing piece. You don't want to end up looking like a freak or something. How adorable? Remember, wear it only in accesories, shoes and stuff. 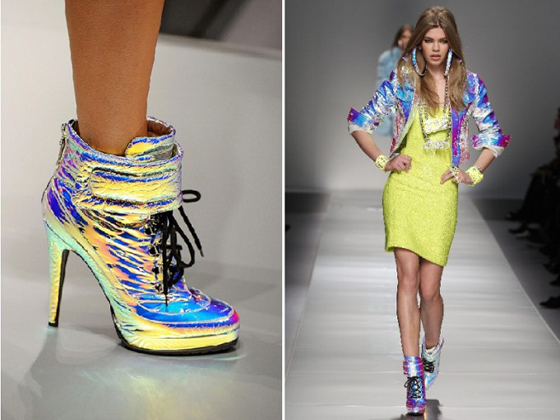 Blumarine was one of the fashion houses who said yes to holographic clothing last year. 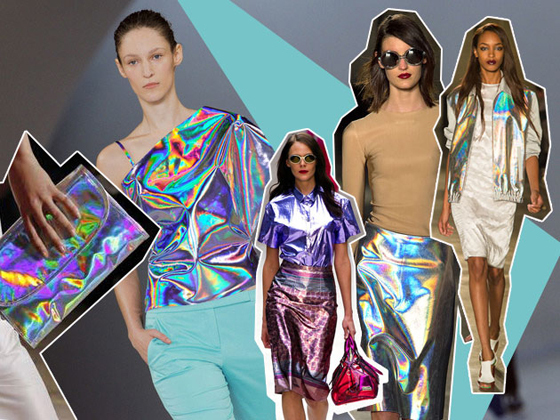 I love the futuristic vibe holographic texture gives to the clothing and accesorioes. 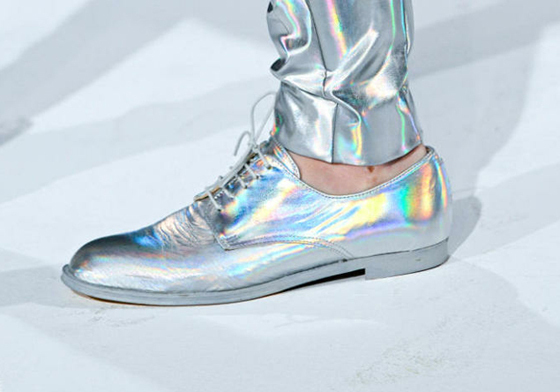 These shoes right here are actually men's. ¡It's a trend for the guys too! 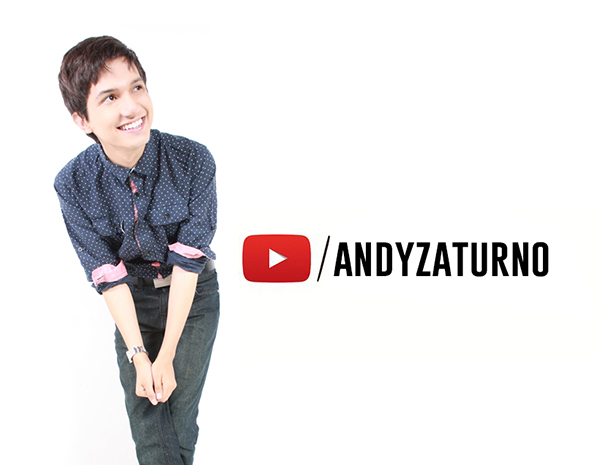 Don't forget to share this on TWITTER, FACEBOOK and INSTAGRAM! Pics by: MTV Style, Style.com, and the glorious internet.